So let's apply a bit of inductive reasoning and work back from the theoretical end date for the entire run--September 15, 1952. Network(s): WHN, WOR, The AFRS, and several other local affiliates and networks while in syndication. 9:00-WHN--National Solidarity--Joseph C. Grew, Former Ambassador to Japan, From New York National Republican Club. 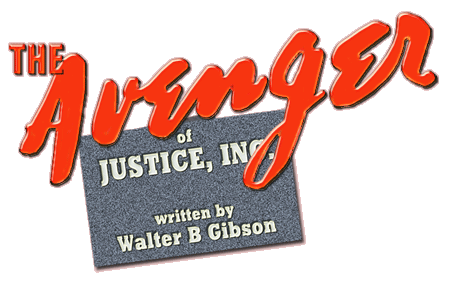 A fast-moving jewel smuggling story with four murders, titled "The High-Tide Murders," will be aired on The Avenger, which makes its bow over WBBM at 10:30 o'clock tonight. How-dun-it enthusiasts will welcome WBBM's new scheduling of a thriller each night at 10:30. Birthplace: Pleasantville, New York, U.S.A.
James Monks was born in 1913, in Pleasantville, NY, into an artistic family. 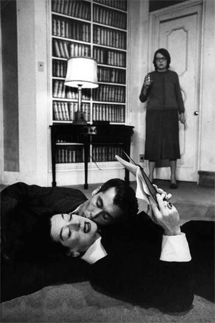 His older brother, John, became a playwright, Stage director, producer and actor. His sister, Rhoda, performed in local community theatre productions for much of her life. 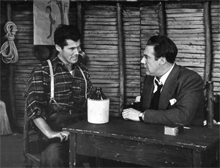 James Monks first appeared on the Broadway Stage in his brother's 1936-1938 production of Brother Rat. After his debut in Film, with 1942's popular and critically acclaimed, How Green Was My Valley, Monks appeared in another six Broadway Stage productions between 1942 and 1958, culminating in 639 performances opposite Rosalind Russell in Auntie Mame (1956-1958). James Monks had been peforming in Radio since the late 1930s in the New York area. Between 1938 and 1965, Monks appeared in an estimated 500 radio productions while continuing to work on the stage. Known for his versatility in performing ethnic characterizations, Monks seemed a natural for his leading role as Mr. I. A. Moto in the series of that name that ran over NBC during the Summer and Fall of 1951. James Monks entered Television in 1946, appearing in one of Television's earliest variety-sketch drama productions, Hour Glass, with Paul Douglas. Monks continued to appear occasionally in Television until the mid-1950s, devoting the remainder of his career to the Stage. All told, James Monks spent over forty years on the American Stage, some twenty-six years in Radio and eight years in Television. His characterization of Mr. I. A. Moto, remains his most remembered role, despite the numerous far weightier dramatic roles he enjoyed throughout his career. Though his older brother, John, tended to experience far more critical acclaim, James Monks left his own, unmistakeable mark in the media arts. 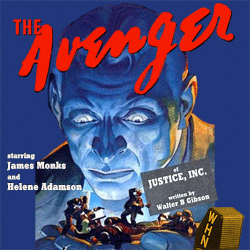 And for-dyed-in-the-wool Mr. Moto and The Avenger fans, James Monks will always be remembered as the only Mr. Moto to air during The Golden Age of Radio.